May Challenge: Burpees--> are you IN? May Challenge: Burpees–> are you IN? 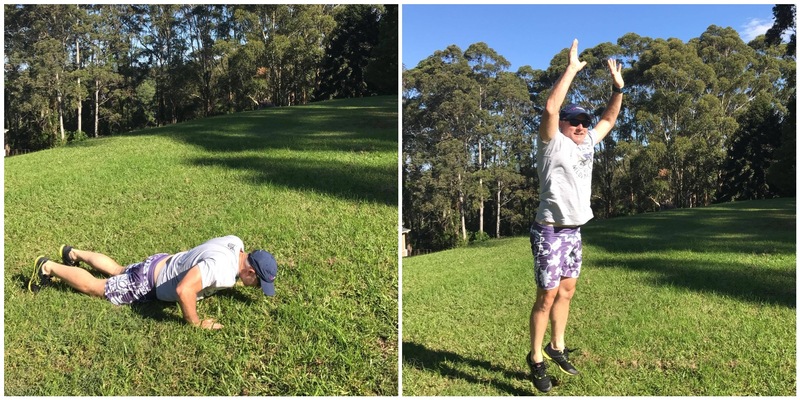 23 Apr May Challenge: Burpees–> are you IN? Level 1: complete the given number of reps per day, split into as many sets as needed. You may walk the burpees up and down if needed. Note: you may count yoga sun salutations for burpees if this fits your needs. Level 2: complete the daily burpees unbroken (in only 1 set). This is a bigger deal from May 20th onward, of course! Level 3: Level 2, plus add a push-up reverse ladder to the Burpee Ladder, starting with 30 push-ups on May 1st and working your way down. Your daily sum of Burpees and Push-ups will always equal 31. John Oulton from Terrigal, Australia is featured on the cover for this month’s challenge. He finished all four of my challenges thus far in 2017. John sets a great example of commitment and positive energy, and until we have a team member join from New Zealand, Fiji or Tonga, he has the reigning geographical advantage of being first to start each challenge! Complete at least 2 hours of volunteer work this month. This can include a wide range of activities, from volunteering as a mentor or tutor to helping out at a shelter (for people or animals) to fundraising or otherwise supporting a charity group. If you already do this regularly, use this month to volunteer in a new area or using another of your rockin’ skill sets that you don’t normally volunteer with. If you’re not sure what to do, feel free do my Victory Garden WOD on your own or with friends this month. The workout, plus a little organization and fundraising around it will get you the two hours. Or do it and some local volunteer work. Also, please feel free to ask for ideas on our Facebook group page and share what you’ve decided to do. May I join late? What is the deadline? You may join any time you want, including AFTER May. Really? Sure. It’s more fun to join during the month of the challenge though, especially at the start of the month. If you discover the challenge later in the month though and can make up the reps, then please go for it and join us! This month’s challenge has a slow start, so joining even mid-month doesn’t result in a crazy number of catch-up reps.
How do I join if I’m not on Facebook? Just say I’m in out loud 3 times, and you’ll be in! If you want to connect the dots and receive a virtual high-five, feel free to also drop me a note at jeff@flowstatecoaching.com or say hi on other social media channels (links in footer). My shoulder/elbow/ego is injured, may I modify? YES! Substitute any appropriate movement, including TRX rows or pressing in a different plan (such as an overhead press with light weight). 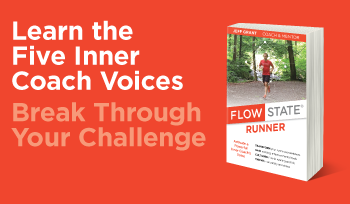 Jeff Grant is the author of "Flow State Runner: Activate a Powerful Inner Coach’s Voice" and "Run Faster: Unlock Your Speed in 8 Weeks". Based in Switzerland, Jeff is a coach and writer who specializes in mental coaching, peak performance, and transformation. Jeff’s popular newsletter is a digest containing inspirational and instructional resources, including his latest content. See recent issues and subscribe for free here. Refer to Jeff’s bio and press kit for more information, and please check out Jeff’s Coach & Author page on Facebook.